Further yet with blog entries, extracts with commentary from the Internet web site "Great Power War". Topics in all cases aviation . . . oddities and curiosities for want of a better term and description. 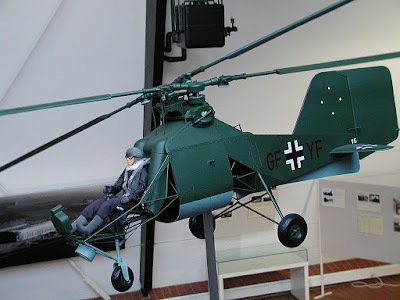 "The Coolest Experimental Planes of World War II"
"Most people don’t associate the development of helicopters with World War II, but in fact, prior to the beginning of the war the German Luftwaffe experimented extensively with choppers, and the first accepted design was the open cockpit Flettner FI 282." "One of the oddest features of the aircraft was its intermeshing rotors, which meant that the two main rotors angled away from each other though the arc of the blades crisscrossed. But they were very carefully synchronized so as not to collide with each other"
"The German air service envisioned using the new aircraft for observation and reconnaissance, anti-submarine warfare, and other roles." This particular image of the Flettner FI 282 shows the unique dual synchronized and angled-rotors, counter-rotating, no tail rotor required. One engine with two rotor shafts. Click on image to see an enlarged view. A German 282 flown post-war [WW2] by an American pilot.Thanks to You Tube. Flettner in the aftermath of the war continuing to design helicopters for USA concerns. Yet one more instance of Operation Paperclip? Continuing still more extracts with commentary from the Internet web site "Great Power War". Topics in all cases aviation . . . oddities and curiosities for want of a better term and description. Before there was the German Me-163 Komet there was the BI-1? Soviet WW2 era rocket-plane! "Several major combatants in the war experimented with rocket-assisted or rocket-powered aircraft including the Soviet Union. The result was the Bereznyak-Isayev BI-1." "Stalin ordered engineers Alexander Bereznyak and Aleksei Isayev to get the plane ready as soon as possible. As such, it only took 35 days to build a functional prototype. Development continued into 1942 with rocket motor tests, but engineers discovered that the BI-1 could only stay aloft for 15 minutes after the pilot ignited the rocket on the ground, which was a major limitation." Thanks to You Tube and amazingly so some Soviet film footage exists of a BI-1 take-off and landing. NO undercarriage but snow skids. Useful in the sense that any frozen river or lake could be used as an "air field". Also an expedient allowing for rapid development of a fly-able prototype. NO swept back wings! This plane had a solid or liquid fueled engine? Of this I am not sure. "After a third prototype blew up during midair during a level flight, developers came to realize the rocket plane had another flaw: The frame, which was made of plywood and metal, could not handle what was near-supersonic flight speeds." BI-1 NEVER A DONE DEAL! FLIMSY PROTOTYPES IN DANGER OF BREAKING APART [AND DID BREAK APART] IN MID-FLIGHT SO POWERFUL WAS THE PROPULSION SYSTEM. BUT THE CONCEPT OF THE ROCKET-PLANE TO A DEGREE SOUND? Continuing blog entries, extracts with commentary from the Internet web site "Great Power War". Topics in all cases aviation . . . oddities and curiosities for want of a better term and description. 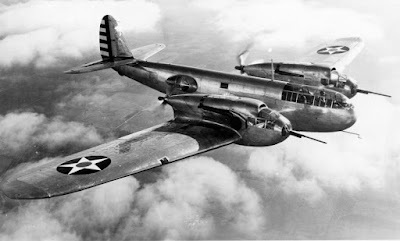 "Designated as a 'heavy fighter' and/or a 'bomber destroyer,' the American-made Bell XFM Airacuda was the Bell Aircraft company’s first airplane design. First flown in 1937, the plane had a number of innovative features — and many design flaws. In all, 13 were produced in three slightly different versions and one fully operational squadron was actually formed." "The plane was created to intercept enemy bombers at distances greater than ordinary single-seat fighters." "The twin engine, heavy fighters could not turn with the smaller, more nimble fighters, and the big planes' weight and load made speed a problem as well. Not only could a small fighter plane catch up to an enemy heavy fighter, it could out turn it in a dog fight. If it was losing, it could turn away and outrun its opponent." A five-man crew for this warplane. Pilot and co-pilot. A radio operator [could fire weapons for rearward defense] and a gunner each for operating the two 37 mm cannon. 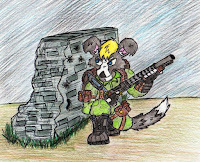 Could also function as a light bomber. "But none of the [WW2] twin engine bomber destroyers and long range fighter escorts worked out well: The German Me-110, the English Bristol Beaufighter , and others all failed at their designed jobs. However, many worked out as specialized, heavily armed night fighters carrying radar to find their targets in an environment where speed and maneuverability meant less"
Here begins a series of blog entries, extracts with commentary from the Internet web site "Great Power War". Topics in all cases aviation, warplane design as of the era prior to and during the Second World War, aviation oddities and curiosities for want of a better description. "Birth of the aircraft carrier"
"Between World Wars I and II, fighter planes underwent a great deal of innovation. From the bi-planes and tri-planes in the 'Great War' to the high-speed monoplanes of the late 1920s and 1930s, the world powers made great strides in aviation." "That included the development and introduction of the aircraft carrier, the first of which belonged to the British Royal Navy, the HMS Argus, the first flat-deck carrier which debuted in 1918. The U.S. would not follow suit until 1920." HMS Argus the first flat-top aircraft carrier. The conventional design as has been since 1918. In this case not so much the vessel or the warplanes but the dazzle paint pattern. Confuse the range finder of an enemy warship, most especially so the very limited range finder of an attacking German submarine. An issue where there is no issue? Wag the dog Venezuelan style? And if no issue make an issue! "Venezuela navy confronts Exxon oil ship in Guyana border dispute"
"GEORGETOWN/CARACAS (Reuters) - Venezuela’s navy 'intercepted' a ship exploring for oil on behalf of Exxon Mobil Corp (XOM.N) in Guyanese waters over the weekend, Guyana’s foreign ministry said in a statement, while neighboring Venezuela said the incident occurred within its territory"
Devoted readers to the blog might want to read of the never-ending dispute Guayana Esequiba. An argument centuries old of border, land, Economic-Exclusion-Zone [EEZ]. 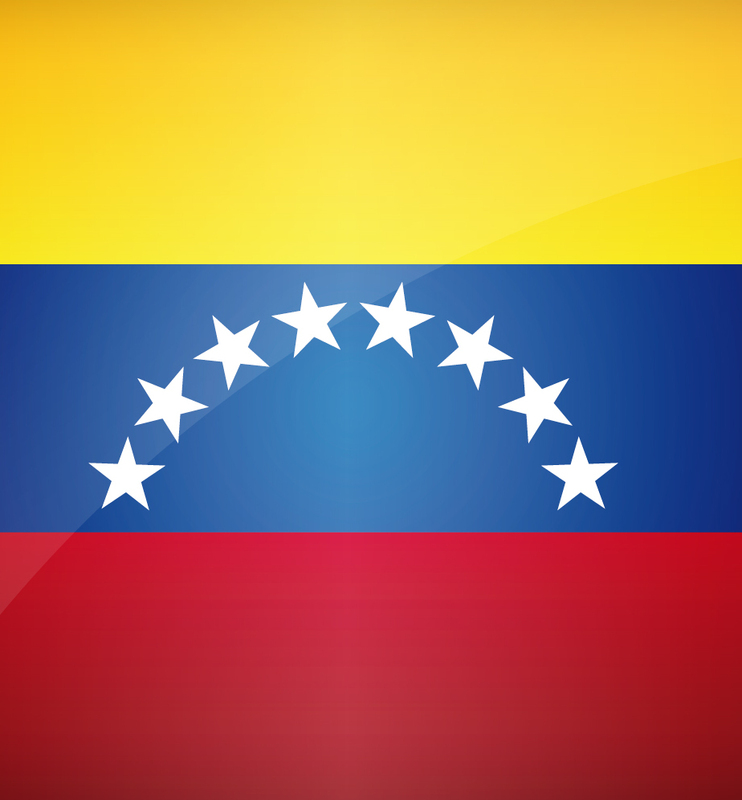 Venezuela having at least to my understanding THE LARGEST KNOW PETROLEUM RESERVES IN THE WORLD! Guyana not possessing at least until now ANY KNOWN PETROLEUM RESERVES. Traditionally and historically disputes over border delineation and the desire to control resources often a casus belli! That presence of an AMERICAN SHIP OF EXPLORATION at the heart of the whole matter? 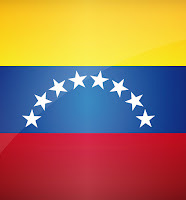 President Maduro of Venezuela with social unrest in his nation rife, seeking the scapegoat, the hated Yanqui in this case. A deliberate and malicious provocation from the perspective of the Venezuelan the only worthy response some sort of military action and all to the advantage of Maduro? Hold onto your hats everyone! It took only fifty years but it has been done. And all for the better. "Mines finally cleared of Jesus baptism site"
"Israel's Defense Ministry clears landmines and unexploded ordnance littered around three churches in Qasr al-Yahud area, on the western bank of the Jordan River over 50 years after they were put there." "Israeli and foreign engineers sounded the all-clear this week around three churches on the western bank of the Jordan River, near where Jesus is believed to have been baptized, after mines that had marooned the shrines for decades were cleared." Area still not open to the public but presumably at some point will be. Area as demined the hard and old fashioned way and not using animals to detect the mines? See previous blog entry regarding same. As it was in Vietnam in 1969 as it is now in Afghan almost fifty years later? 1. "If a Green Beret Is a War Criminal, then So Is Obama"
2. "THE GREEN BERET AFFAIR 1969"
3. "Robert B. Rheault, Green Beret commander in Vietnam scandal, dies at 87"
Additionally as it was for Robert Rheault in 1969 and Mathew Goldsteyn in 2018, so was it also for Breaker Morant in 1902! Wars of the unconventional variety produce atrocity and tension for which the exigencies of combat often necessitate drastic measures, even if deemed illegal by the Laws of Land Warfare? Terminate with extreme prejudice even unlawful enemy combatants forbidden? That is the question! Back in my day decades ago now it was the Big Five. Five weapon systems allowing the U.S. Army to prevail in what was deemed the Air Land Battle 2000. As in year 2000. Those five weapon systems prior to the year 2000: * Bradley * Abrams * MLRS * Patriot * Apache. 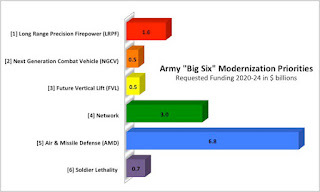 In the modern context and as reported by the Internet web site Breaking Defense we have a description of the Big Six. "Army Moves $25B To Big Six, From New Tanks To 6.8mm Rifle"
"The Army plans to move at least $25 billion over the next five years from low-priority programs to preparing for major war. That includes developing a wide variety of new weapons, from high-speed aircraft, to partially-robotic armored vehicles, to a long-ranged 6.8 millimeter rifle to replace the venerable M16/M4 family and its controversial 5.56 mm round." "in order of importance — * long-range precision fires, aka missiles; * new armored vehicles; * new aircraft; * upgraded networks [electronic] that can withstand jamming and hacking; * improved anti-aircraft and missile defense; and, lastly, * individual equipment." "PREPARING FOR A MAJOR WAR"! "In time of peace prepare for war." - - Marcus Tullius Cicero. "The Battle of Amiens . . . was the opening phase of the Allied offensive which began on 8 August 1918, later known as the Hundred Days Offensive, that ultimately led to the end of the First World War." Allied troops on the Western Front during the Great War [WW1] using that proper combination of combined combat arms [infantry, artillery, armor, combat aviation]. Second-class German troops in second-class fortifications routed and put to flight, large numbers surrendering. .
NOW thanks to a recent edition of the BBC History magazine an extract more or less in entirety from an article by Nick Lloyd. "Why Don't we celebrate Amiens?" "British popular memory of the First World War has been dominated by the grim, attritional struggles of 1916-17, with the Somme and Passchendaele epitomizing the terrible carnage and ultimate futility of the war." "By contrast Amiens has been largely forgotten. It was s a battle of much shorter duration and with so many fewer casualties than the Somme and Passchendaele. It was also only one part of a series of major offensives (known as the Hundred Days) that brought the war on the western front to an end. These are perhaps some reasons why it has attracted much less attention from historians than other battles." "Crucially, however, Amiens did not fit in with the dire image of the war that many influential critics of the British High Command - - from David Lloyd George and the military theorist Basil Lidell Hart to Joan Littlewood (creator of Oh, What a Lovely War!) want - - wanted to portray. For them, the First World War was an unrelieved disaster and the role role that British commanders played in failing to learn lessons was a fundamental aspect of the war. They saw no reason to analyze Amiens in any detail"
"Amiens was, in many respects, a model battle of positional warfare. it showed that the stalemate of trench warfare was now over and also illustrated the degree to which a combination of infantry and artillery, plus armored vehicles and air power, had reshaped the nature of warfare and brought about the return of maneuver to the battlefield. It devastated German morale and revealed to the German High Command they had no answer to the kinds of tactics and the awe-inspiring mass that Allied armies could now deploy on the western front. It showed, all too clearly, that the war had to be ended. Amiens, therefore, was not just a forgotten battle but an inconvenient one too." Amiens a model of success in marked contrast compared to what had preceded in the last four years of conflict. 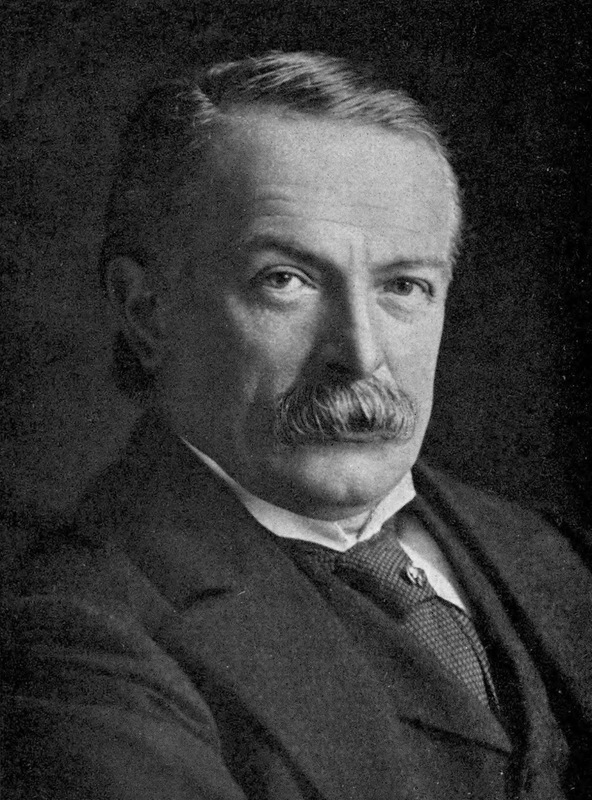 Lloyd George and his "dire image of the war" hardly without foundation. In many respects Lloyd George quite correct indeed! Flags of Our Fathers! But much more than that! USMC Iwo Jima and the famous flag raising. Consider also Sons of Flag Raising! 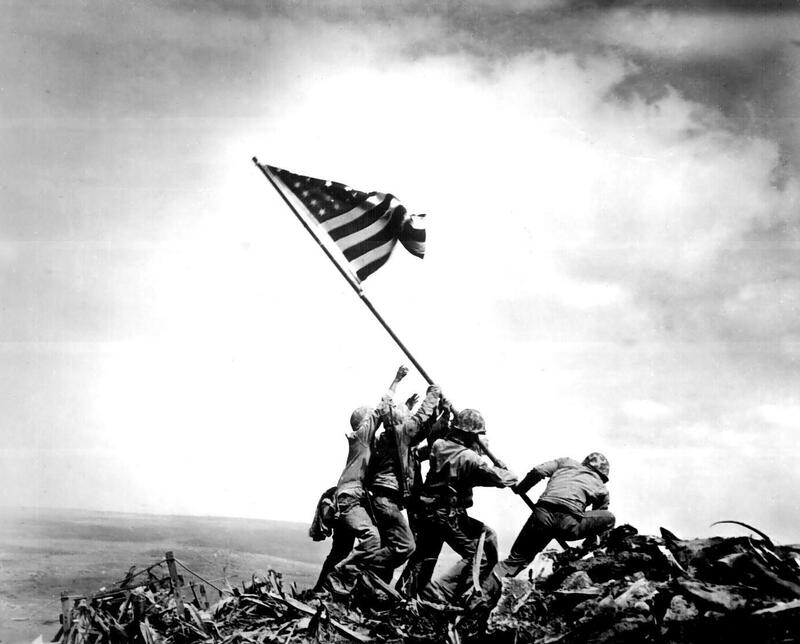 That classic iconic World War Two image of the American Marines [USMC] raising the flag over Mt. Suribachi, Iwo Jima. 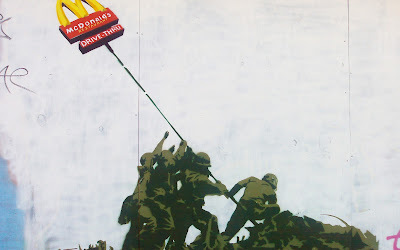 Courtesy the famous British graffiti artist Banksy. I am not sure what the message [if indeed a message exists] is! Once more courtesy Banksy. In this instance the message quite clear. American cultural influence pervasive and all-victorious. McDonald's the restaurant chain to be found all over the world. What is described as masked Feteh Palestinian fighters raise their flag. The Palestinian people eventually triumphant over the oppressive Israeli? Iranian propaganda cartoon. 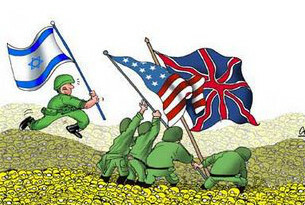 American, British and Israeli flags being raised. Please note those flags being raised upon a mountain of human skulls!! In the spirit of the season and good cheer to all. 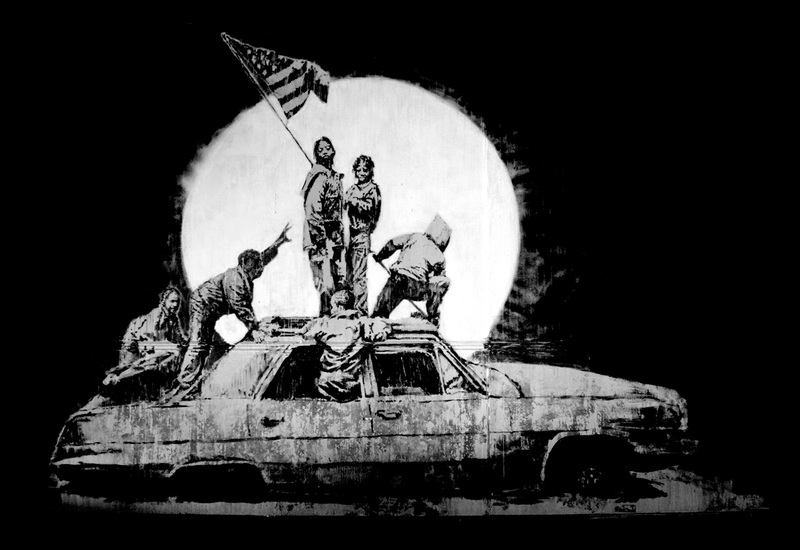 Iconic American image from wartime as adapted by various persons for various reasons. In each and every instance take what you want out of it. The French submarine Robert Surcouf [N N 3]. French naval vessel from the inter-war era [WW1 and WW2], at the time the LARGEST submarine in the world. With an unconventional mission. A submarine designed primarily to engage enemy targets using naval gunfire! Organic dual 203 mm [eight inch] naval guns with extraordinary range. A formidable capability. Surcouf the mission as envisioned as a commerce raider, destroy enemy merchant shipping. That mission of Surcouf commensurate with the French naval doctrine of Jeune Ecole from the era of the late Nineteenth Century? "Surcouf . . . an 'underwater heavy cruiser', intended to seek and engage in surface combat"
* "Because of the low height of the rangefinder above the water surface, the practical range of fire was 12,000 m[eters] . . . well below the normal maximum of 26,000 m[eters] (28,000 yd)." * "The duration between the surface order and the first firing round was 3 minutes and 35 seconds." 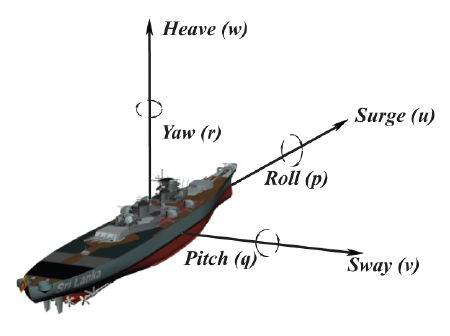 * "Firing had to occur at a precise moment of pitch [up/down motion] and roll [side to side motion] when the ship was level." * "Training the turret to either side was limited to when the ship rolled 8° or less." * "Surcouf was not equipped to fire at night"
* "The mounts were designed to fire 14 rounds from each gun before their magazines were reloaded." Sailors have their own words for pitch, roll and yaw. Gunners firing the eight inch [203 mm] guns of the Surcouf their primary concern the surge and sway. Surcouf also able to attack targets in the manner of a conventional submarine attack, using torpedoes of either 400 mm [16 inches] or 550 mm [22 inches] diameter. Unconventional sized torpedoes for a conventional type of naval warfare. Do it the French way I guess. First there was the Russian Woodpecker, Duga and Steel Yard. Now we have Container! Soviet/Russian anti-ballistic-missile over-the-horizon-radar [OTH]. Container mobile and a much improved version of the Woodpecker. Thanks to the Russian controlled [?] media outlet Russian Times [RT]. "Spot on: Russia to track future US missiles with upgraded over-the-horizon radar"
"In response to US plans to pull out of the INF Treaty and the active development of its hypersonic technology, Russia is building a network of radar stations best suited to detect missile launches from afar." As seen at the Global Security Internet web site an idealized radar coverage pattern of Duga? According to the RT article Duga able to detect missile launches from Cape Canaveral but not able to detect missile launches from Vandenberg AFB on the Pacific coast of the United States. Click on image to see an enlarged view. WE ARE RETURNING TO THE DAYS OF THE WOODPECKER? SEGMENTS OF THE HIGH-FREQUENCY RADIO BANDS TO BE INTERFERED WITH BUT EVEN MORE INTENSELY SO? WE HOPE AND PRAY NOT. Firestorm Pforzheim. Thanks to the story from DW. Hamburg I have heard of. Dresden I have heard of. Tokyo I have heard of. Pforzheim I had never heard of! "Pforzheim: the Dresden nobody knows about"
Saturation bombing of Pforzheim with high-explosive and incendiary creating a fire-storm a city of tens of thousand obliterated from the face of the earth. All occurring in twenty-two minutes! "According to official statistics, 17,600 people died, and tens of thousands of others were injured. The market square and old town area were destroyed and completely depopulated. In the entire city, over 80 percent of the architecture that existed in 1945 was defaced, making Pforzheim, proportionally speaking, the worst instance of destruction at the end of WWII in Europe." Dresden and Pforzheim instance of allied atrocity during the Second World War? Gratuitous and excessive violence disproportionate in nature? NOBODY knows of Pforzheim? Until NOW! Contrary to what I have ordinarily understood, German storm trooper tactics and storm trooper units as employed by the German during the Great War [WW1] an evolutionary process culminating of course in the German Spring Offensive of 1918. Riga and Caporetto be fully aware NOT the first instances of institutionalized storm trooper units as used on the battlefield by the German. A Storm Troop [battalion sized unit] consisting of German soldiers of the highest quality physically and mentally, possessing proven and demonstrable coolness and ability in combat. Entire battalions of such soldiers organized for hazardous missions. Missions hazardous in the extreme. As originally envisioned to capture a section of enemy trench but not much more than that. 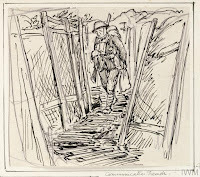 Given the over-the-top mass wave attack disasters of the various combatants during the earliest stages of the Great War, merely capturing an enemy trench was considered a considerable success. See this You Tube video the evolutionary aspects of the German Storm Troop during the Great War. Taktik during the German Spring Offensives of 1918 the mission of the Storm Troops not confined to capturing a mere stretch of trench. To the greatest extent possible continuing the offensive, the target those rear-echelon forces of the adversary. Destroy any ability for allied combatants to reconstitute as fighting units. From the historical perspective I find this to be interesting. Devoted readers go and take this test. 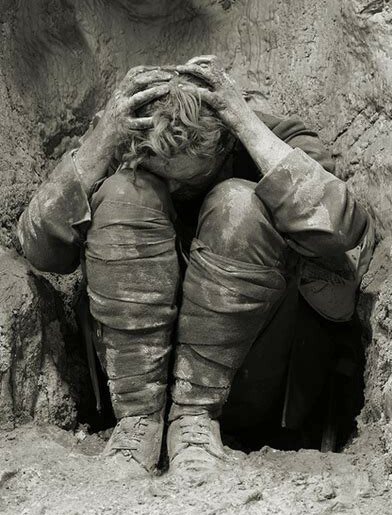 See if you would have been more or less susceptible to shell shock during that period of the Great War from over one-hundred years ago. 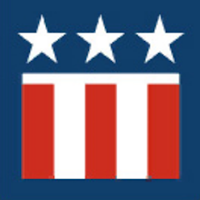 Used by the U.S. Army as a means of evaluating personnel presumably for assignments. "The WPI is often credited as the first personality test. It was designed by the United States Army during World War I to identify solders at risk for shell shock. It measures one scale: emotional instability." "The test was very popular for many years but eventually fell out of style, seemingly in the 1930s." "The WPI consists of 116 yes or no questions. It should take most people ten to fifteen minutes to complete." "Being one hundred years old, the inventory makes references that may not be immediately clear to modern takers, clarifying information has been added in brackets to this version." PERSONALLY AND WITHOUT FURTHER CLARIFICATION MY WPI SCORE RELATIVELY POOR AS DEFINED. I WOULD NOT DO WELL IN A COMBAT ARMS UNIT? "Pull yourself together man. This soldier's heart, combat fatigue, shell shock, PTSD is all in your head. Just snap out of it and get on with your duty." Concluding with extracts and commentary from the original articles as seen at the isegoria.net Internet web site. Thank you isegoria.net in all cases. Small and fast! Motor torpedo boat! "Donald Pittenger shares his thoughts On Design Constraints — which he, as a humanities type, never had to consider"
IN THIS PARTICULAR CASE CONSIDER NOT SO MUCH THE DESIGN CONSTRAINTS , MODIFICATION "TRADE OFF AND COMPROMISE" BUT THE VALUE OF ASYMMETRIC WEAPONS OF WAR, SUCH AS THE MOTOR TORPEDO OF THE PRE-DREADNOUGHT AND DREADNOUGHT ERA. 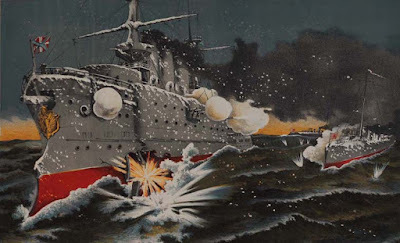 "Battleship designers in those days were seriously concerned about the danger posed by torpedoes launched from small, fast ships, the solution being secondary quick-firing four or five inch guns for defense. Until the war, such guns were placed in casemates strung along the upper part of the ship’s hull. But with the battleship at speed in any but the calmest seas, many of the guns couldn’t be operated dues to splashing water. The obvious solution was to mount the guns higher, on the main deck itself. But this would raise the ship’s center of gravity, making it less stable and seaworthy. After the Great War most navies plated over the casemates and did move the guns higher, but that required some compensating weight-shifting and perhaps making beams wider." Japanese motor-torpedo boat [MTB] during the Battle of Tsushima successfully attacking a much larger Russian capital ship. Direct hit! Night time encounter between a capital ship and a MTB most particularly to the disadvantage of the former. The motor-torpedo-boat [MTB] extremely cost-effective? Just the threat of small and fast torpedo boat attack and the danger from same requiring the major world powers to modify their capital ships in a manner that rendered them less capable than originally intended? A swarm of MTB an example of asymmetric naval warfare. Further extracts with my commentary from original articles as seen at the isegoria.net Internet web site topic the Great War. The Paris Gun. A fascinating topic. German very long-range artillery of the Great War. Often referred to as railway artillery. ALSO A WEAPON OF DUBIOUS UTILITY? To what extent the rounds as fired by the Paris Gun were in violation of the various Hague Convention protocols I cannot say. 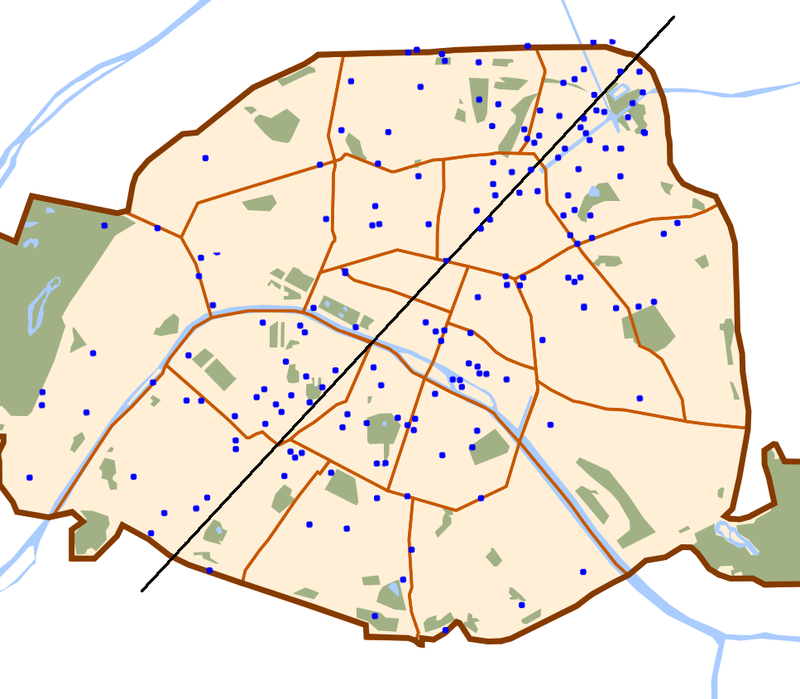 "Secrets of the Mystery Gun that Shelled Paris"
"The June, 1930 issue of Modern Mechanix has a well-illustrated piece revealing the secrets of the mystery gun that shelled Paris during the Great War a dozen years earlier"
"Map of central districts of Paris, showing where shells fired [red dot where the round landed] by the Paris Gun landed, June-August 1918, and a line [blue] indicating the direction of the German gun. Note other shells landed outside this area. Based on Miller (1921)"
The Paris gun an ineffective weapon! NO way for the German to do effective spotting and determine accuracy. ONLY about two-thirds of rounds hitting within the city limits? ONLY about one person killed per round fired [half of those killed by a single hit!]. Maybe the German did not even take accuracy into account, just desiring to HIT the city of Paris "somewhere" and nothing more. Aerial reconnaissance and espionage reports from agents on the ground also would not have helped the aiming process? I think not. TERROR FOR THE SAKE OF TERROR BUT NOT EVEN THAT TERRIBLY TERRIFYING? THAT AMOUNT OF TIME, ENERGY, MONEY, MANPOWER BETTER SPENT CONSTITUTING CONVENTIONAL BATTERIES AND BATTALIONS OF BATTLEFIELD ARTILLERY? SO I MIGHT SURMISE. I would ask the question as to what was the fatality rate for automobile accidents in Paris during the same two month period of time the Paris Gun was active. The answer might surprise many. Further additional extracts with my commentary from original articles as seen at the isegoria.net Internet web site topic the Great War. "Dazzle camouflage, also known as razzle dazzle (in the U.S.) or dazzle painting, was a family of ship camouflage used extensively in World War I, and to a lesser extent in World War II and afterwards . . . [dazzle] consisted of complex patterns of geometric shapes in contrasting colours, interrupting and intersecting each other." 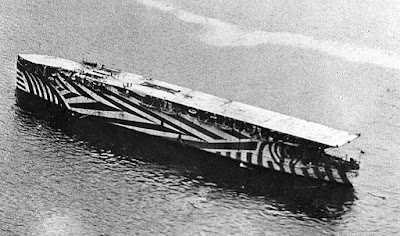 "Unlike other forms of camouflage, the intention of dazzle is not to conceal but to make it difficult to estimate a target's range, speed, and heading . . . [dazzle] intended . . . primarily to mislead the enemy about a ship's course and so to take up a poor firing position." "Give ‘em the old razzle-dazzle"
"razzle-dazzle 3 : a confusing or colorful often gaudy action or display"
NOT SO MUCH CAMOUFLAGE BUT PATTERNS AS USED TO CONFUSE THE RANGE- FINDERS OF ENEMY NAVAL COMBAT VESSELS. PARTICULARLY THE RANGE-FINDERS OF SUBMARINES [VERY CONSTRICTED]. 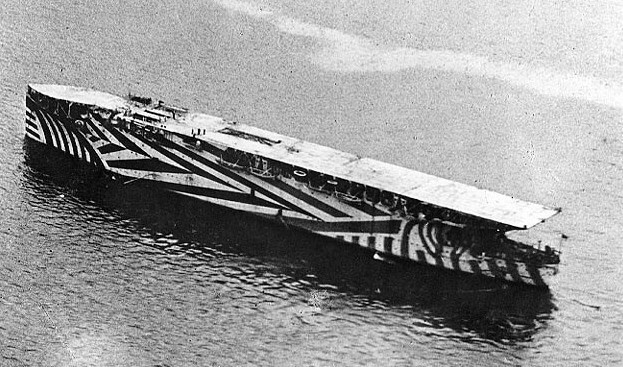 "During the Great War, navies learned that they couldn’t hide their ships through camouflage, because the background shifted so drastically with every change in the weather — but they could razzle-dazzle enemy range-finders with what painter Norman Wilkinson called dazzle painting"
I wonder if it has ever been determined the effectiveness of DAZZLE? I cannot recall ever having seen an image of a World War Two naval vessel or merchant shipping having the DAZZLE pattern. 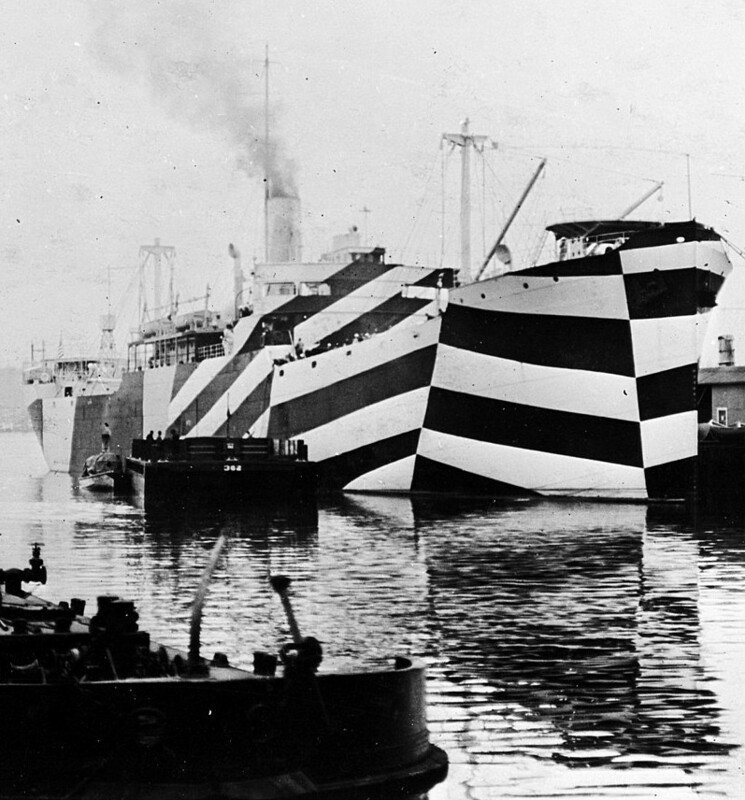 Merchant vessel from the era of the Great War with dazzle pattern. I must admit with a mere glance this does appear to be confusing. The German submariner thought the same? Additional extracts with my commentary from original articles as seen at the isegoria.net Internet web site topic the Great War. "In analyzing the coming great war, Ivan Bloch noted that the strain of marching is very heavy"
"Remember that it is not mere marching, but marching under heavy loads. No infantry soldier should carry more than one-third of his own weight; but instead of the average burden of the fully accoutred private being 52 lb. 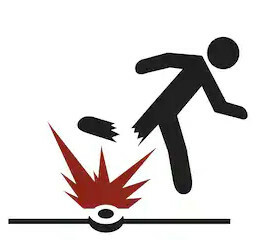 it is nearer 80 lb., with the result that the mere carrying of weight probably kills more than fall in battle." MARCHING OF ITSELF WITH LOAD EVEN WHEN NOT IN COMBAT DEBILITATING. MARCHING WITH LOAD DURING COMBAT MUCH WORSE! "The proportion of those who die from disease and those who lose their lives as the consequence of wounds received in fighting is usually two or three to one." "The average mortality from sickness tends to increase with the prolongation of the campaign." * Jungle warfare casualties from disease as compared to battlefield dead and wounded that ratio about 12:1!! * The Soviet in Afghan their non-battlefield casualties about 300,000 troops!! Probably contracted hepatitis from the drinking of contaminated water. * German troops in 1914 part and parcel of the Schlieffen Plan their unit integrity severely compromised having to march too far too fast under too much load? Stragglers that number large. Failure of the plan in measure the German commanders expecting TOO MUCH from the troops. * Troops exhausted obviously more susceptible to sickness and illness. The infantry square method of employing troops in combat to be preferred? Less exhaustion, less sickness, less deaths, combat performance enhanced! Still yet more extracts with my commentary from original articles as seen at the isegoria.net Internet web site topic the Great War. "Military Logistics: A Brief History"
PROTRACTED WAR AND THE MOBILIZATION OF THE INDUSTRIAL BASE OF A NATION TO PROVIDE WAR-MAKING STUFF TO THE TROOPS. THAT CONTINUOUS AND UNENDING FLOW OF MEN AND MATERIAL NOW KNOWN AS LOGISTICAL OPERATIONS. "Historically, it was always easier to supply an army on the move, because the army 'lived off land' — meaning it took what it wanted from the locals." "Military Logistics: A Brief History notes that that all changed with the Great War"
"The First World War was a milestone for military logistics. It was no longer true to say that supply was easier when armies kept on the move due to the fact that when they stopped they consumed the food, fuel and fodder needed by the army. From 1914, the reverse applied, because of the huge expenditure of ammunition, and the consequent expansion of transport to lift it forward to the consumers. 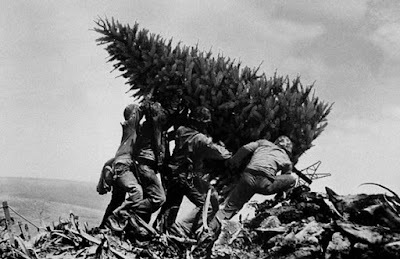 It was now far more difficult to resupply an army on the move, while the industrial nations could produce huge amounts of war materiel, the difficulty was in keeping the supplies moving forward to the consumer." * At least by 1865 the requirement per-day to supply the 100,000 man Army of the Potomac was two-thousand five-hundred [2,500] wagon loads of supply. That merely to SUSTAIN. During a period of combat even more was needed? * Lieutenants think tactics, generals think logistics? The latter in many cases possessing business degrees, such is the nature of modern warfare, the managerial aspect of thee command echelon not unlike that the executives of a commercial enterprise. * When thinking of logistics during the Great War the first thought that comes to my mind is Etaple [properly pronounced E-top.] A city of one-hundred thousand [100,000] English troops where before there was just a village and farmland. Etaple the rear-base area for British Army units moving to and fro the front. Etaple even having a piggery and chicken ranch to supply fresh meat to the troops. It is often thought that the Swine Flu epidemic of 1918 began at Etaple. Influenza as having jumped" from pigs to humans at the camp! The rest is history. Yet more extracts with my commentary from original articles as seen at the isegoria.net Internet web site topic the Great War. To war with spade and pick axe! The Great War. Can you dig it? "A Great War of Entrenchments"
Once again, evidence of time travel in the Nineteenth Century this time courtesy Ivan Bloch? "In the late 1800s, Ivan Bloch saw that the next great war would be a great war of entrenchments"
The hail of bullets AND the metal splinters from artillery detonations!! "The Effects of Target Posture"
Ivan had it all figured out, didn't he! Not a military man but his prescience most profound! Keep your head down and no foolish charges. Continuing yet further still extracts with my commentary from original articles as seen at the isegoria.net Internet web site topic the Great War. "Should America have entered World War I?" "The US entered the Great War 100 years ago, but why?" MORE IMPORTANTLY CONSIDER NOT SO MUCH THE QUESTION "WHY" BUT RATHER "WHAT IF" THE USA HAD NOT BECOME A COMBATANT. "In 1917, the French army mutinies were put down largely by the French government and general staff going around promising that there wouldn’t be a major offensive until the Americans showed up. In the absence of the expectation of millions of doughboys arriving, those mutinies get a lot harder to deal with. Combined with the Russian revolution, the position of the Allies looks extremely shaky. A negotiated peace, or at least ceasefire, in 1917 was a very strong possibility if the US didn’t enter the war." THAT BREAKDOWN OF FRENCH ARMY DISCIPLINE IN THE AFTERMATH OF THE FAILED NIVELLE OFFENSIVE MOST ACUTE. FRENCH TROOPS WILLING TO FIGHT STRICTLY DEFENSIVELY BUT NO MORE GOING OVER THE TOP IN FRUITLESS OFFENSIVE ACTION! FRENCH MILITARY AND CIVILIAN MORALE AT AN ALL-TIME LOW! Massive infusions of fresh American troops that only answer to the morale crisis of the allies on the Western Front from 1917 onward! Yanks to the rescue and all that? Once more extracts with my commentary from original articles as seen at the isegoria.net Internet web site topic the Great War. Ivan Bloch and his pronouncements on Grand Strategy from the perspective of the "financier turned political-economist". Considerations of a non-military nature that must be taken into account when waging war. The nation-state entity as not being fully and 100 % self-sufficient with regard to resources a severe impediment when waging war. "In previous wars, each nation had been a homogeneous, self-contained, self-sufficing unit, but that was no longer true by the Great War, Ivan Bloch noted"
"You [English], of course, in England are absolutely dependent upon supplies from over sea[s]. But you are only one degree worse off than Germany in that respect. In 1895, if the Germans had been unable to obtain any wheat except that which was grown in the Fatherland, they would have lacked bread for one hundred and two days out of the three hundred and sixty-five. Every year the interdependence of nations upon each other for the necessaries of life is greater than it ever was before. Germany at present is dependent upon Russia for two and a half months’ supply of wheat in every year." ONCE MORE BLOCH IT SEEMS HIS OBSERVATIONS AND COMMENTS QUITE CORRECT. Germany and Great Britain both during the Great War suffering privation from lack of food, the military and civilian sector neither immune to a lack of sustenance when most vital. Continuing yet further extracts with my commentary from original articles as seen at the isegoria.net Internet web site topic the Great War. "Ivan Bloch describes the rivalry in invention in naval warfare leading into the Great War"
"Would it not be possible to direct mines underneath these immense ships, and destroy them by means of powerful explosions in the vicinity of weakly defended parts? For a long time the application of this idea was unsuccessful, many obstacles had to be overcome, and only in recent times has the question been successfully resolved." NAVAL SEA MINES SIXTY TIME MORE EFFECTIVE COST-EFFICIENCY WISE AS OTHER CONVENTIONAL WEAPONS OF NAVAL WARFARE!! "Bloch was a financier turned political-economist, in case that wasn’t clear." BLOCH UNDERSTOOD PERFECTLY WELL TECHNOLOGY AND THE MILITARY APPLICATION THEREOF IN A MANNER FLAG OFFICES OF THE PERIOD DID NOT? AND WHY IS THAT? Yet further more extracts with my commentary from original articles as seen at the isegoria.net Internet web site topic the Great War. "Ralph Raico’s ironically titled Great Wars and Great Leaders compares Woodrow Wilson to Joseph McCarthy — unfavorably"
"We have all been made very familiar with the episode known as 'McCarthyism,' which, however, affected relatively few persons, many of whom were, in fact, Stalinists. Still, this alleged time of terror is endlessly rehashed in schools and media. 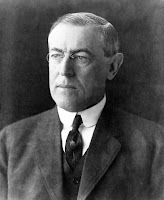 In contrast, few even among educated Americans have ever heard of the shredding of civil liberties under Wilson’s regime, which was far more intense and affected tens of thousands." Anti-German sentiment in the United States during the Great War most pronounced. All things German bad. Lots of stupid propaganda and downright foolish actions done in the name of patriotism and national solidarity. Lots of dumbness with hindsight! YES! From the time of the Great War onward distinct German ethnic communities in the USA on the way out never to return. The German language as either spoken or read in a newspaper now verboten. Ethnic German communities with a beer garden on every block too a thing of the past never to return. Wait however several decades and you find the names of Eisenhower, Nimitz, Krueger, Eichelberger, Spaatz among the highest command echelons of the USA military during WW2. Time heals all? More lead on the target faster than with an Uzi! Listen up humanoids! Yet still more extracts with my commentary from original articles as seen at the isegoria.net Internet web site topic the Great War. The European combatants of the Great War [WW1] seem to have totally missed the versatility of the combat shotgun? Not so the American military. U.S. troops during periods of trench warfare using the Model 97 shotgun with effectiveness. 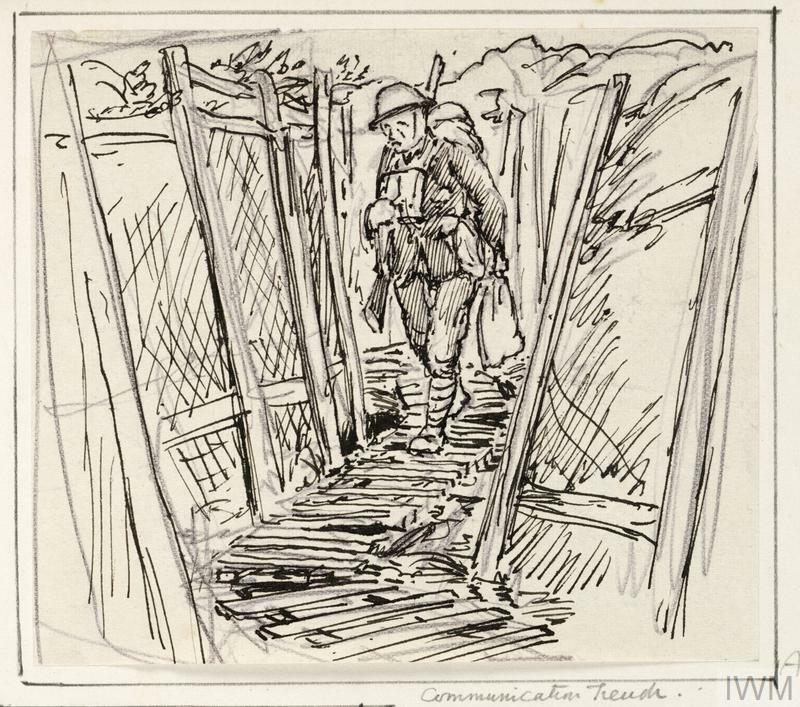 Clearing out a section of trench or enemy dugouts during close-quarter-battle an excellent application of the combat shotgun. At Model 97 pump shotgun in particular having a feature that made for rapidity of fire and able to place on the target faster than with a sub-machine gun!! "Unlike most modern pump-action shotguns, the Winchester Model 1897 . . . fired each time the [pump] action closed with the trigger depressed (that is, it lacks a trigger disconnector) . . . This characteristic allowed troops to fire the whole magazine with great speed. " THE COMBAT SHOTGUN UNDERSTAND MOST USEFUL AT CLOSE-RANGE! "John Schaefer shares some numbers to illuminate just how effective a shotgun can be at short range"
The "stopping power" of a shotgun at long-range however limited. I have it on good authority that using # 4 shot the penetration of a leather coat at twenty-five yards [meters] not possible. Again shotgun effective at short range! Evidence of time travel in the year 1887? Courtesy Friedrich Engels! Continuing with extracts and my commentary from original articles as seen at the isegoria.net Internet web site topic the Great War. "Prophets of the Great War"
"Anatoly Karlin cites three prophets of the Great War — a Communist, Friedrich Engels; a Warsaw banker, Ivan Bloch; and a Russian conservative minister, Pyotr Durnovo." 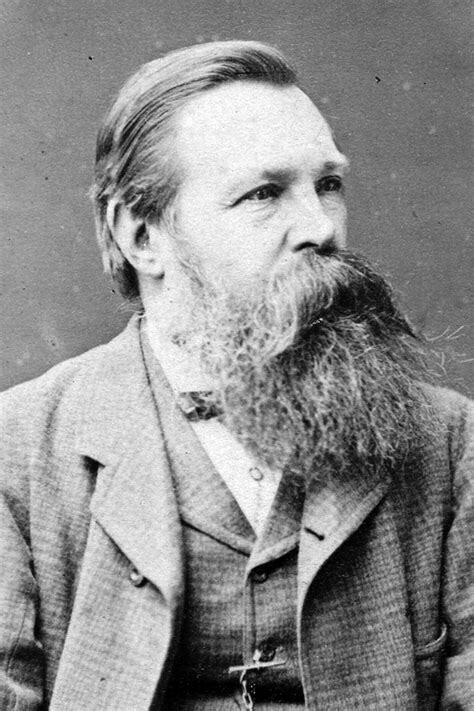 "In 1887, in a preface to a pamphlet, Engels predicts that the next war will be terrible"
"No war is any longer possible for Prussia-Germany except a world war and a world war indeed of an extent and violence hitherto undreamt of. Eight to ten millions of soldiers will massacre one another and in doing so devour the whole of Europe until they have stripped it barer than any swarm of locusts has ever done. The devastation of the Thirty Years’ War compressed into three or four years, and spread over the whole Continent; famine, pestilence, general demoralization both of the armies and of the mass of the people produced by acute distress; hopeless confusion of our artificial machinery in trade, industry and credit, ending in general bankruptcy; collapse of the old states and their traditional state wisdom to such an extent that crowns will roll by dozens on the pavement and there will be no body to pick them up; absolute impossibility of foreseeing how it will all end and who will come out of the struggle as victor; only one result is absolutely certain: general exhaustion and the establishment of the conditions for the ultimate victory of the working class." Friedrich had it all figured out, didn't he? Amazingly so at least with regard to battlefield casualties. "Crowns will roll" meaning the reigning European kings, queens, emperors deposed in a manner not imaginable prior to 1914. Think Wilhelm, Nicholas, Charles! 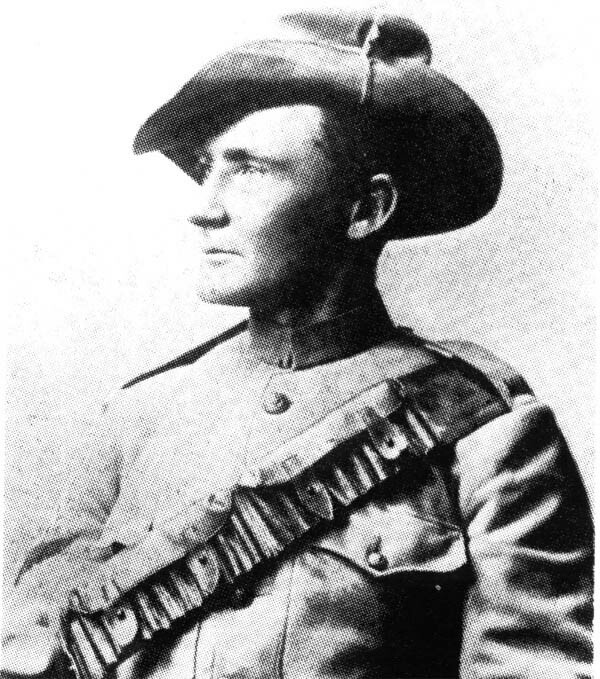 Here begins a series of blog entries, topics of which are relevant to the Great War [WW1]. All posts done without regard to any sort of chronological order or importance. Extracts with my commentary from the original articles as seen at the excellent Internet web site isegoria.net . From the Chronicle of Higher Education. "Our First View of the End of the World"
"In Our First View of the End of the World, Stanford professor Terry Castle explains the frustrations of teaching:"
"What does it mean to remember the First World War? Over the past few years I have been trying to get my students — mostly 19- or 20-year-old Stanford English majors — to learn about, think about, reckon with, remember the Great War. I have been spectacularly unsuccessful. 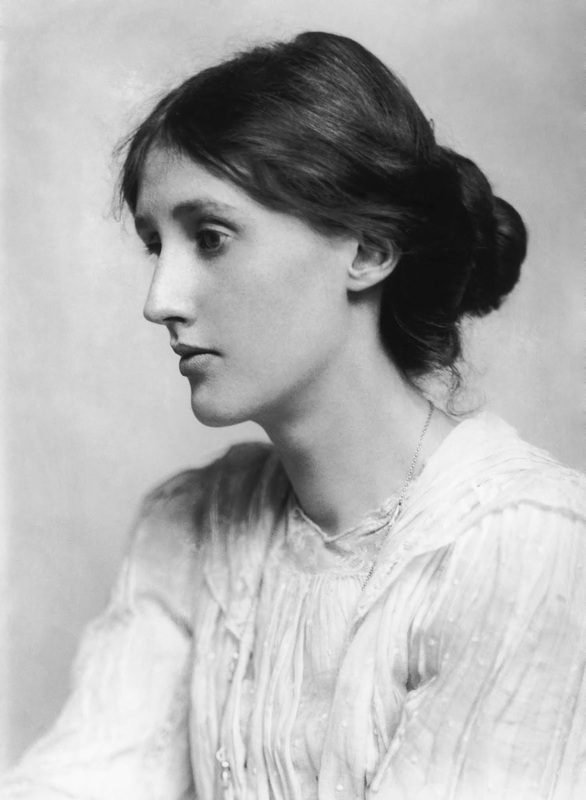 My latest failure came just this spring, in an honors seminar on Virginia Woolf. We were reading Jacob’s Room, the hero of which dies on the Western Front, and I suspected — correctly — that my students knew little about the war or its repercussions. (Make of it what you will, but all of the students except one were female.)" DAMNED AMERICAN COLLEGE STUDENTS AT THE MOST ELITE INSTITUTIONS THEIR MINDS STUPEFIED AND FULL OF MUSH! SCHOLARS [?] OF THE HIGHEST CALIBER TOTALLY IGNORANT OF MAJOR HISTORICAL EVENTS THE SIGNIFICANCE OF WHICH SEEMS TO ESCAPE THEM ABSOLUTELY ALMOST IRREDEEMABLY SO!! Perhaps some current Stanford undergraduate will read this blog entry and be ashamed of themselves? For some reason I doubt it. The lost treasure of the Sierra Madre? In this instance the lost Nazi gold of the SS Minden. German merchant vessel SS Minden reputed to carrying $130 million USD In gold [current value] from South America to German during the earliest stages of World War Two scuttled and sunk. Gold lost. At least until now. SS Minden has been found?? From the British tabloids from over a year ago now but still an item worthy of consideration. 1. 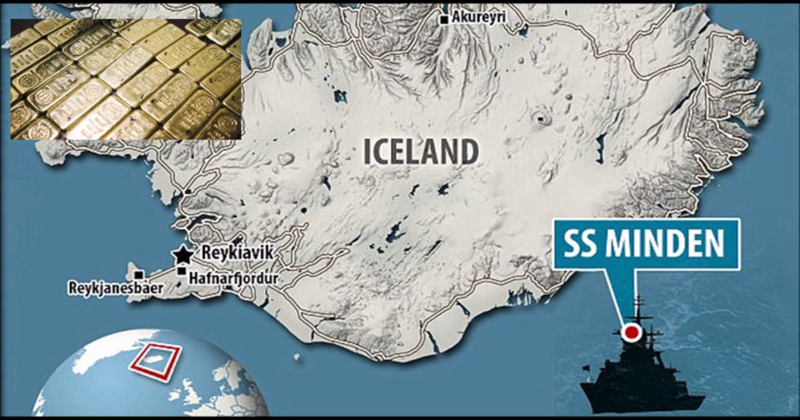 "British treasure hunters caught hunting for the wreck of a 'Nazi gold ship' sail into a diplomatic row with Iceland"
"A group of British treasure hunters are claimed to have prompted a diplomatic row with Iceland after they were caught searching for a ‘Nazi gold ship’." 2. 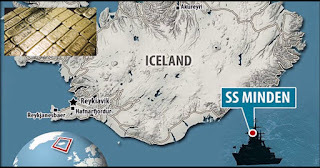 "Nazi gold hunters held Brit crew caught looking for German WW2 ‘gold ship’ wreck in Atlantic ocean sparks diplomatic row"
"A NAZI 'gold ship' has sparked a diplomatic row after Brit treasure hunters were caught hunting for its wreck in the Atlantic ocean." Some info courtesy of Sputnik [controlled media outlet?] regarding the White Helmets. Self-described Syrian civil defense workers independent of the Syrian regime. As accused by the Russian White Helmets in league with those adversaries of the despot Assad. 1. "Aleppo Chemical Attack May Be Work of White Helmets - Russian MoD (PHOTO, VIDEO)"
"Moscow and Damascus have repeatedly accused the White Helmets NGO of staging a number of provocations in Syria involving chemical weapons attacks to influence public opinion and provide foreign powers with a justification for interventions in the Arab country." 2. 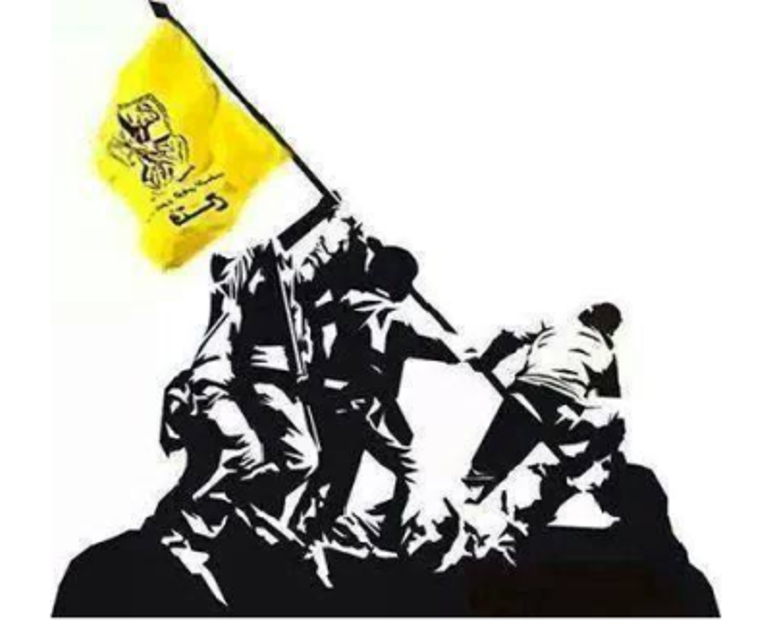 "White Helmets Stage Attacks to Give Pretext to US to Attack Syria – Prof"
"Haaretz reported that Turkey has dispatched troops to Idlib, Syria to reinforce its presence in the province. The reinforcements come despite the Turkish defense minister’s recent warnings against a military solution." White Helmets the allegation of staged FALSE FLAG chemical attacks quite common in controlled [?] Russian media outlets such as Sputnik, Russian Times, etc. Assad not guilty as charged by the White Helmets? A devoted reader to the blog has a better handle on the situation with the White Helmets? I am at a loss. Secret services of the various interventionist nations involved in the Syrian Civil War knew the correct answer to the FALSE FLAG accusations? Yet one more state-of-the-art piece of Russian military hardware as having been sent to Syria. Field test under real-world conditions. "NBC Weapons: CBRN In Syria"
"December 6, 2018: In late 2018 Russia, sent its latest CBRN (Chemical, Biological, Radiological, and Nuclear) detection vehicle into a combat zone for the first time. This RKhM-6 CBRN is a modified version of the 14 ton BTR-80 8x8 wheeled armored vehicle. The turret is augmented with a similar structure containing sensors for various toxic materials. There is also a thermal imaging sensor . . . Chemical weapons have been used numerous times in Syria and there are conflicting accusations about who is responsible." The Syrian government, the Russians and the despot Assad all say the reports of chemical weapons attack are unsubstantiated and bogus. Propaganda. Even FALSE-FLAG operations as perpetrated by those in opposition to Assad! The White Helmets, those self-described Syrian civil defense workers as allied with the anti-Assad rebels say the regime in Damascus is responsible for chemical warfare attacks of a repeated nature. So WHO exactly is to blame? A RKhM-6 can help resolve the matter? "Truth is the first casualty of war!" This is so? The devoted reader to the blog must decide this for themselves? The Russians have it. The Chinese have it. The English had it. The Americans do not have it? VIFF = thrust vector in forward flight. "Thrust vectoring, also thrust vector control or TVC, is the ability of an aircraft, rocket, or other vehicle to manipulate the direction of the thrust from its engine(s) or motor(s) in order to control the attitude or angular velocity of the vehicle." Modern Russian and Chinese warplanes having TVC and the "one-up" game-changer? TVC allowing for aerial combat maneuvers that cannot be matched. Russian and Chinese combat aviators now possessing an undisputed advantage? 1. "Harriers Could Gain the Upper Hand in a Dogfight by Literally Stopping Midair"
2. "China's New Upgrade Makes Its Fighter Jets Wildly Maneuverable"
The J-10 fighter plane gets thrust vector control, a technology that allows for wild acrobatic aerial maneuvers. 3. "Sukhoi SU-57 Russian Super Stealth fighter jets Amazing maneuver"
Thrust vectoring the proverbial game-changer? Russian and Chinese combat pilots will possess an overwhelming advantage in technology for which the opposition will have no answer? Is that what this is? "Those capabilities can be countered if an opponent is aware and expecting them. Many Russian planes have long had the thrust vectoring abilities, so this is now not unique in ACM [Air combat maneuvering]. The Western allies have been training with these characteristics in mind, and their tactics and strategies are developed to deal with them. These can include certain maneuvers, different tactics and even strategies. It is an enhanced capability for those new Chinese fighter planes, but it is no longer a game changer." Thrust vectoring impressive YES but hardly the "game changer" as many might assume. Strong as a horse one moment, the next moment gone? As acknowledged and reported by various sources the head of Russian army military intelligence [GRU] has passed. Korobov! 1. "Head of Russia's GRU Spy Agency Dies After Illness - WSJ"
"The head of the Russian intelligence agency that the West says meddled in the U.S. presidential elections in 2016 has died." 2. "Russia GRU chief Igor Korobov dies of illness after UK spy ..."
"The head of Russia's military intelligence agency, the GRU, has died from illness, according to officials in Moscow." 3. 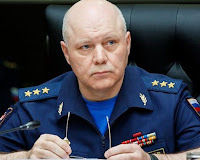 "Head of Russian Skripal-linked GRU spy agency dies"
"The head of Russia's GRU military intelligence agency, General Igor Korobov, has died aged 62 ..."
NOW FOR THE REST OF THE STORY. THANKS TO THE ESTEEMED AND SELF-DESCRIBED POLEMICIST ALEXANDER BOOT! "Russian generals are dying to reveal a secret"
Senior Russian military commanders it seems in the HABIT of dying premature deaths from a variety of causes. Korobov only one of many even from recent history. 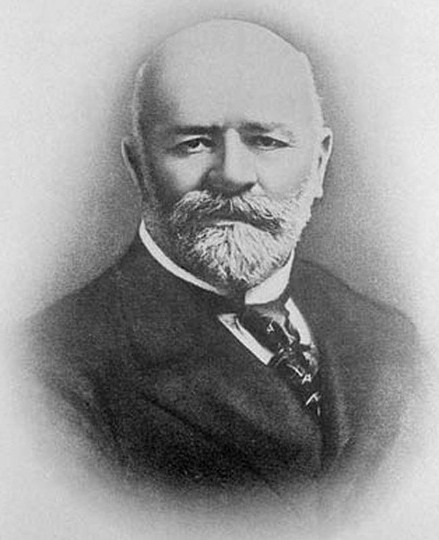 That predecessor of Korobov also dying a premature and unexplained death. A clear and persistent pattern exists! As it was in 2016 as it is now in 2018. "And yes, 2016 is only a couple of weeks old, but Colonel-General Igor Sergun, head of Russia’s military intelligence, has already died under mysterious circumstances at the age of 58." Devoted readers to the blog draw your own conclusions! "Did the outcome of the first World War justify the enormous loss of life? We ask two leading historians . . . to put the case, both for and against." "Imperfect as the world undoubtedly was in 1918, a scenario in which Germany was victorious would have been much worse." 1. "France a vassal state." 2. "Belgium a de facto German colony." 3. "Liberal democracy in Europe gone." 1. "The war destroyed Europe's economy for a generation. it did not recover until the 1950's." 2. "Politically, the war ended the slow and uneven progress the world had made towards greater democracy in the late 19th and early 20th centuries." 3. "Within a few years, in any case, burgeoning democracies had been replaced by brutal and corrupt dictatorships." Nazi Germany. Fascist Italy and Spain. Communist Soviet Union all of them foremost! FROM MY OWN PERSPECTIVE, BY 1918 EVERYONE HAD MORE OR LESS FORGOTTEN WHY THEY WERE FIGHTING THE WAR IN THE FIRST PLACE. 1914, BOSNIA-HERZEGOVINA AND ALL THAT WAY IN THE PAST. "A French spy ship reserved for trouble spots joins USS Truman in Syrian waters"
"The French Dupuy de Lome spy ship [A759] has reached Syrian waters and begun operating in conjunction with the USS Harry Truman and its five-ship strike force . . . the Dupuy le Lome, is reserved by the Directorate of Military Intelligence of France (DRM) for deployment to the world’s flash points ahead of or amid military flareups . . . Beamed to the French ship is intelligence gathered by US reconnaissance aircraft in the air over Syria since last May. These USAF MC-12S EMARSS and MC-12W Liberty planes have for some months been making passes over Syria from their base on the island of Crete. command centers." Not so much "spy" as intelligence gathering. Read further of the MC-12, EMARSS and MC-12W aircraft and missions. "Américains et français ensemble. merci et tout va bien"